What an incredible road trip. 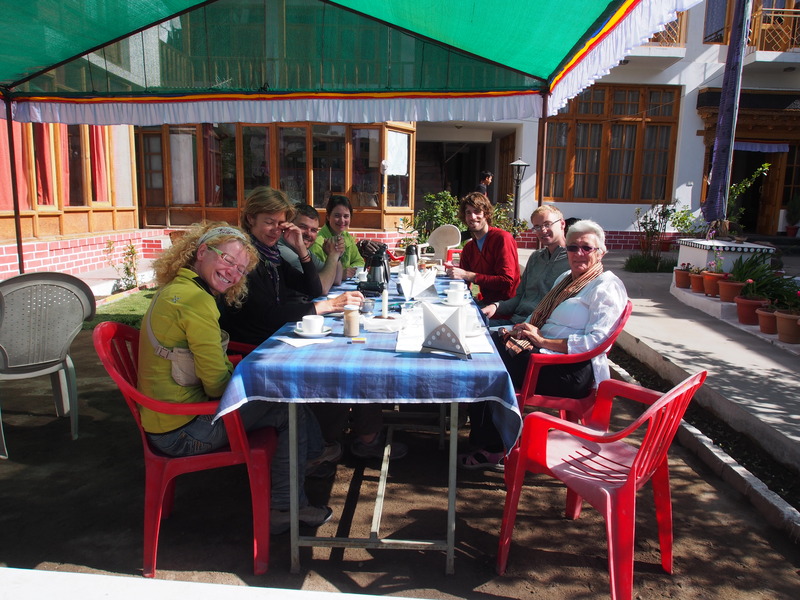 From Leh to Ladakh is approximately 420km but it took us two 10 hour days of driving. On leaving Leh the roads are new and well maintained for the first 60 km. After that numerous delays occur due to road improvements and new construction. The roads are busy. The main route to southern India through to Manili is still closed due to avalanches and snowfall. 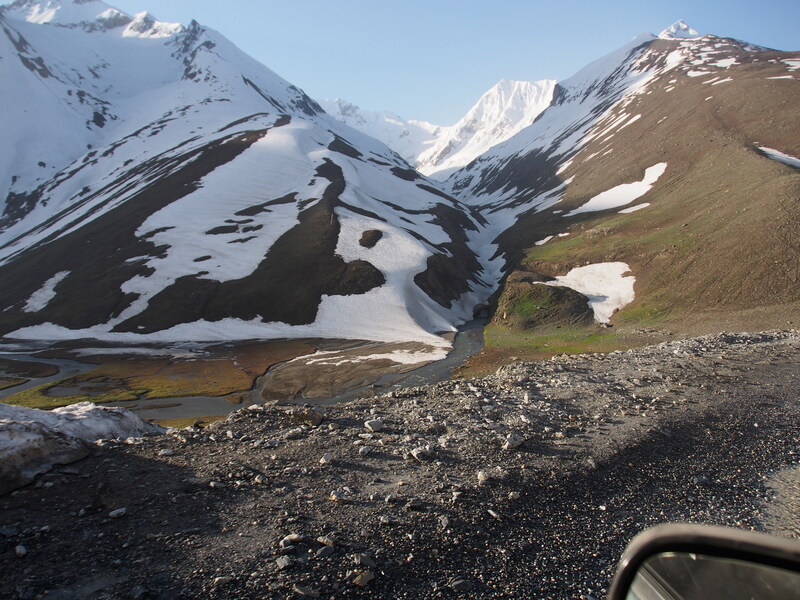 The route through the Shojila Pass to Kashmir has been open only one month and still has large accumulations of snow close to the roadways. 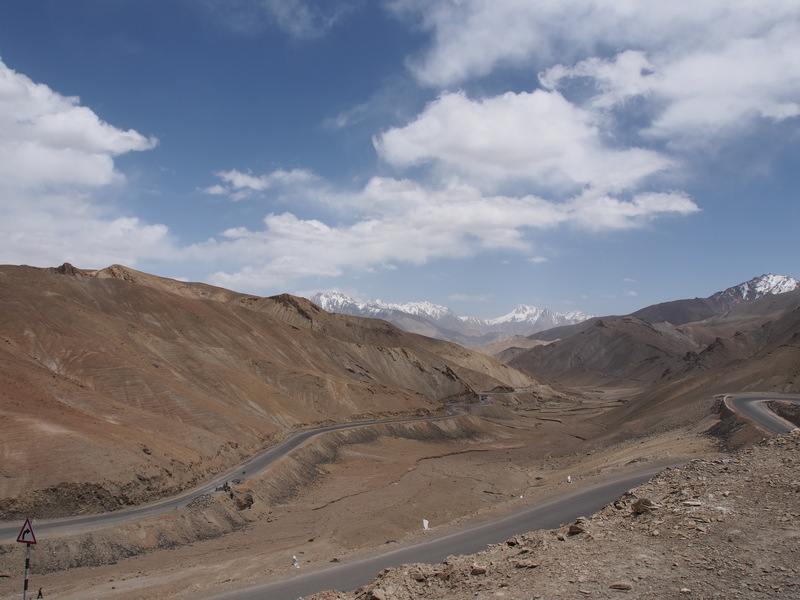 The only other route from Ladakh through to larger centres is the Kargil-Skardu route which passes in to the Gilgit-Baltistan area of Pakistan. However this route, despite its year round access, is still closed due to unresolved India-Pakistan issues. birthday breakfast finished and our seatbelts done up. Out of Leh, past the huge military installations, a wave to the unseen chinese lurking in the hillsides and onwards through the desert like Himilayas and onwards to Kargil. Road conditions were good at least for the first 80km and then things started to change. Combination of heavier traffic, road repairs, road building and dust combined to make stops more frequent. However the scenery was remarkable if not stunningly awesome. I can usually sleep anywhere, anytime but no where on this drive did I nod off. I think though this was more due to the several thousand foot drop offs that appeared at the unbarrired sides of the road. Some dropped off percipitously into dry gorges and others into roaring glacial waters formed from the quickly melting snowpacks especially closer to the Kashmir border. Interestingly once west of Kargil the dry barren landscape of Ladakh gives way to the greener landscape of Kashmir. The slopes of the mountains at low elevations are starting to show new green pastures and the hillsides are weeping both small streams and gushing glacial torrents. 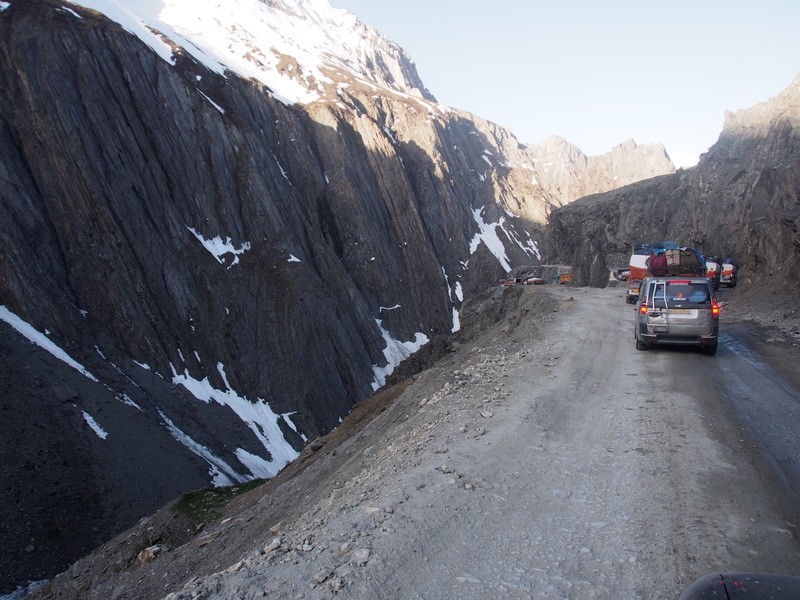 Although the Shiji La Pass (3,291mtrs) is not as high as other passes we have gone over it is ever so spectacular. Entering from the east one follows a narrow valley finally reaching an unspectacular summit. The road appears to be relatively good and just when I say to Connie how relaxing it is we reach the summit and start to descend one of the most treacherous descents we have seen. This is emphasized by the military tow truck perched at the side of a steep precipice as it hauls up a vehicle that had run off the side of the road and rolled down the cliffside. 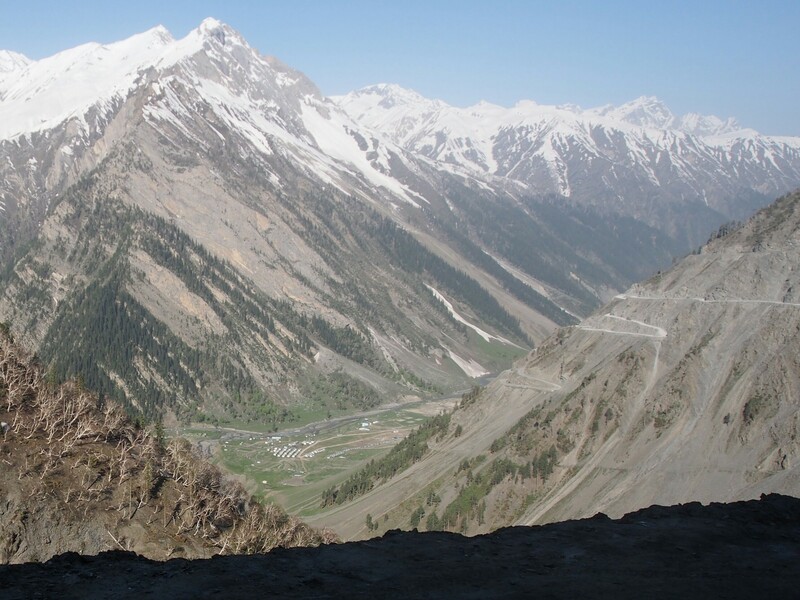 The road’s descent down into Kashmir is complicated by its narrowness. Supposedly the military controls the one way traffic for which the road is better suited. However in reality there is no control. Our west going convoy of trucks, buses, jeeps and the occassional motorcycle started the westward mover over the Shoji La Pass at 0500hrs. By the time we were descendind down into the Kasmir Valley we were meeting eastbound traffic climbing up on roads better suited to one way traffic. What a nightmare! In the end we made it to Srinagar without too much damage. We did have two accidents. Neither of them were the fault of our driver. One where a truckload of wood was driven backwards into our windscreen but didn’t break it. The other when someone drove into the back of us within 2km of getting to the hotel in Srinigar. 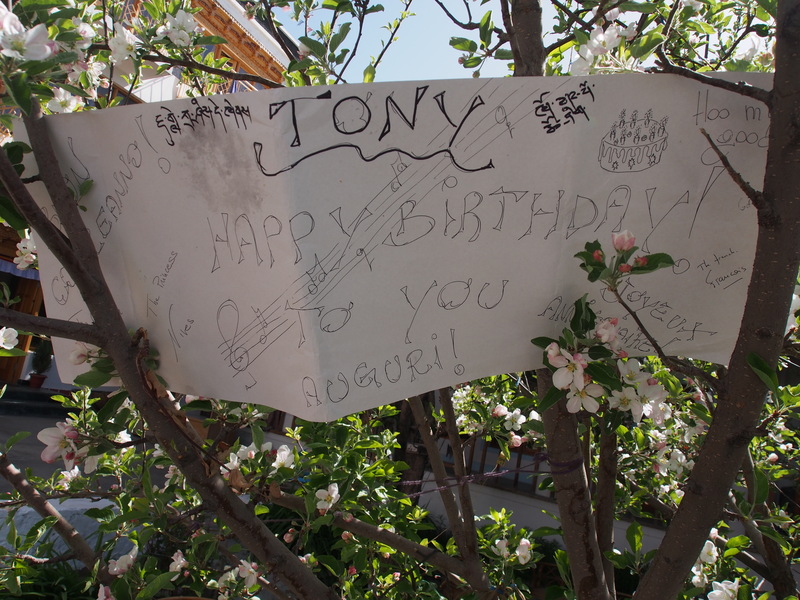 Hi Tony and Connie. The adventure continues! Seen pictures of the incredible highways in that part of the world. They make the big hill from Anaheim Lake to Bella Coola look like a drive in the park. If your looking for a good read, try “Three Cups of Tea” by Greg Mortenson which is about a failed attempt to climb K2 which is in the Sakrdu area. Keep safe! well written felt like i was going down that road with you. So I have a better idea as to what your writing about.